Now that winter is officially upon us ( 7 feet of snow on the East Coast seems official enough) you will be seeing lots of advertisements for flu vaccines, even though there is plenty of scientific evidence that they simply don’t work and that they contain toxic ingredients. Read more about what you don’t know about the flu vaccine can hurt you. But you can skip the flu shot and the flue (colds, too!) by following a few simple rules that will keep your immune system in tip top shape. You can also avoid many bacterial infections, such as bronchitis and ear infections, with some common sense lifestyle habits. Most people catch a cold or flu from hand to hand contact, or from public areas. For example, someone who has a cold sneezes into their hand, then they touch a handrail or doorknob that you touch or you shake hands with them soon afterwards. 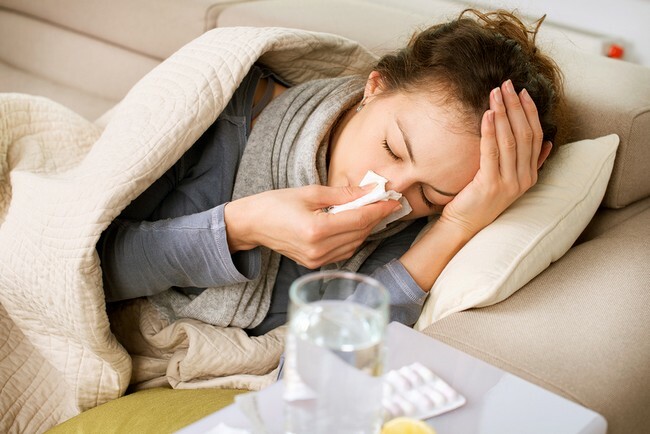 The important thing to remember is that, even though you have been exposed to a cold or flu virus, it doesn’t mean that you are destined to get sick! When your immune system is working at its optimum it’s fairly easy for your body to fight off the virus without ever getting sick. Why do so many people get sick, then? Because they have impaired immune systems and they don’t practice healthy lifestyles. Sugar – Think of sugar as fertilizer for pathogenic bacteria, yeast, and fungi. About 80 percent of your immune system lies in your digestive system and when you encourage and feed the bad bacteria, you are setting yourself up to get sick. Read how to stop shugar train. Vitamin D Deficiency – Studies show that those who have the lowest levels of vitamin D also tend to get the most colds and flu viruses. Studies also show that those who have normal levels of vitamin D also recover faster when they do get sick. Sleep Deprived – We live in a go, go, go world with so much to do that we rarely get the sleep our bodies need to repair themselves. Insufficient Exercise – Your body needs exercise to stay healthy. Exercise triggers an increase in immune system cells that will attack any invader. Stress – This is a vastly underrated factor. Stress predisposes you to bacterial infections and will make whatever sickness you have worse. Lear more how to reduce stress.